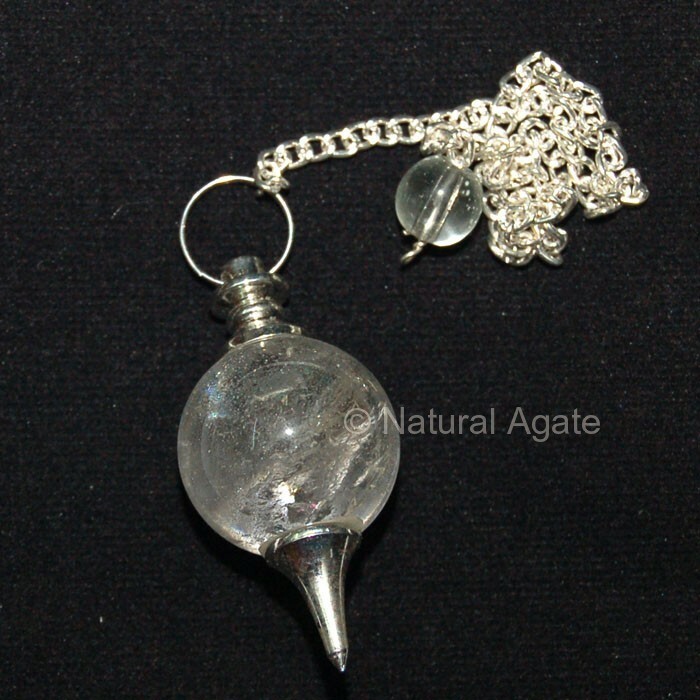 Crystal Quartz ball Pendulum will alleviate any pain and help to cure ailments. Move the pendulum around the body to detect the blockages in the body. Natural Agate offers this pendulum at an affordable price.